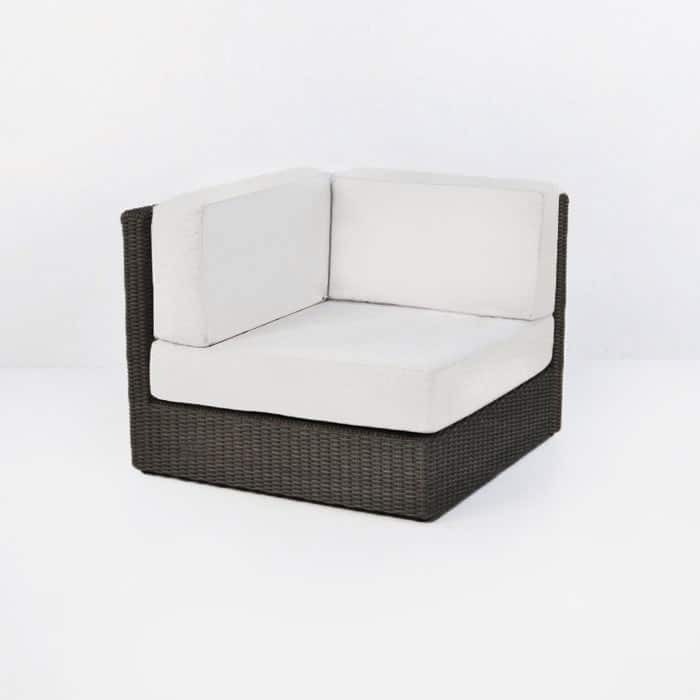 The Design Warehouse Austin Outdoor Wicker Sectional Java (Right) is a fantastic piece in that it can be combined with the other Austin pieces to create an extra long magnificent sofa or a functional l-shape sofa. 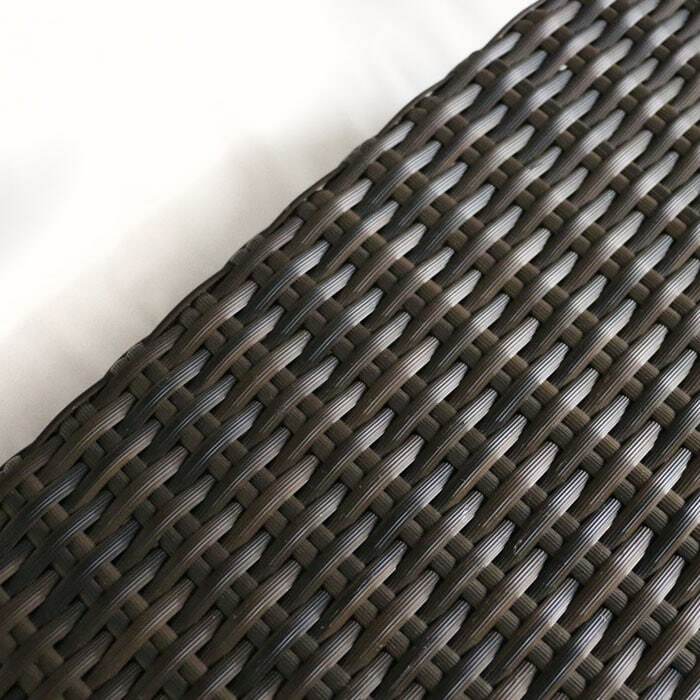 The design is contemporary with a classic wicker weave in dark java brown. 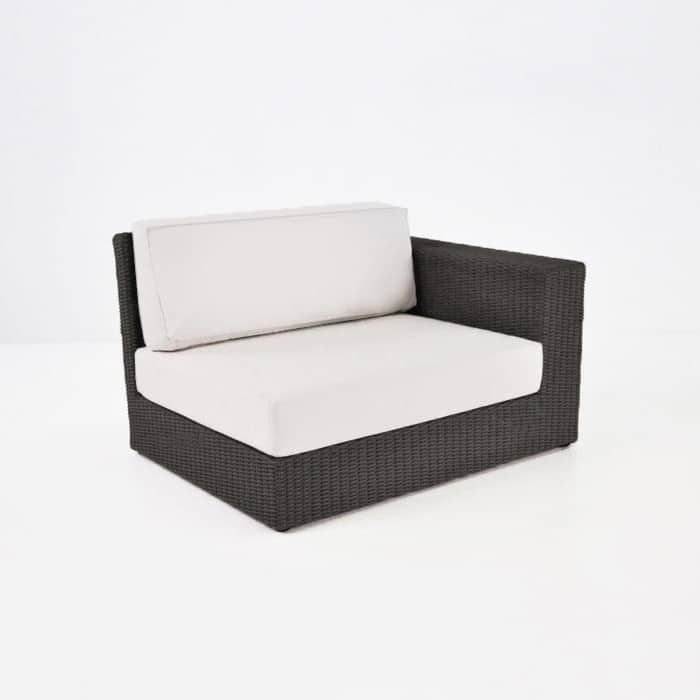 Each piece comes with canvas (off-white) Sunbrella® cushions. 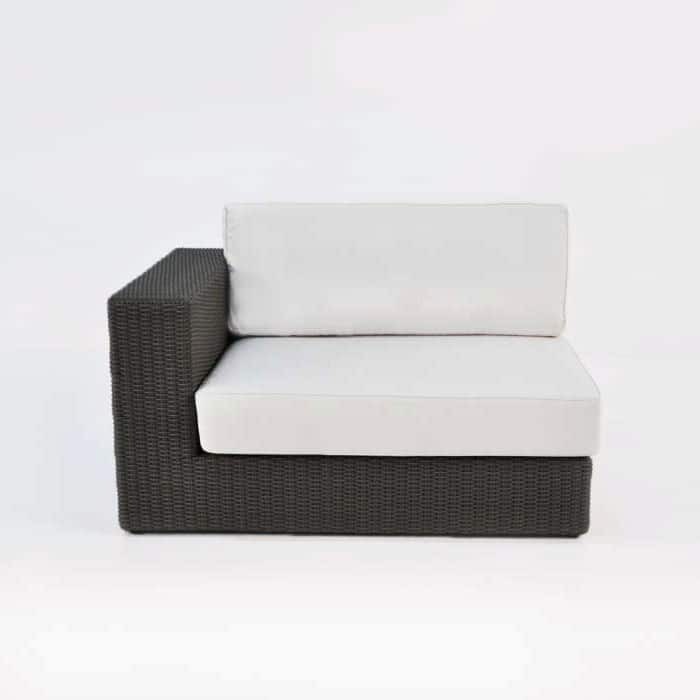 The Austin right armchair is made with durable materials that are strong, but also keep these pieces light and allow you to move them around in your outdoor garden space. 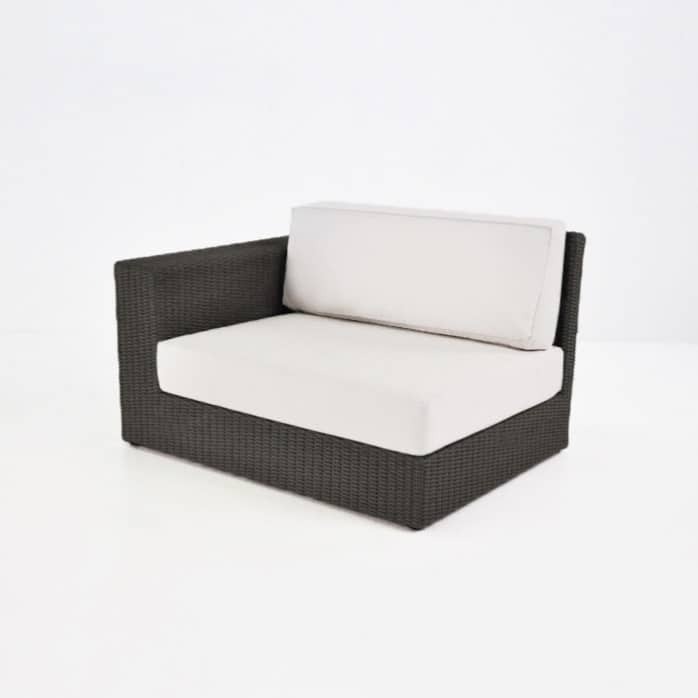 We use Viro® outdoor wicker, powder-coated aluminium and always Sunbrella® fabric. 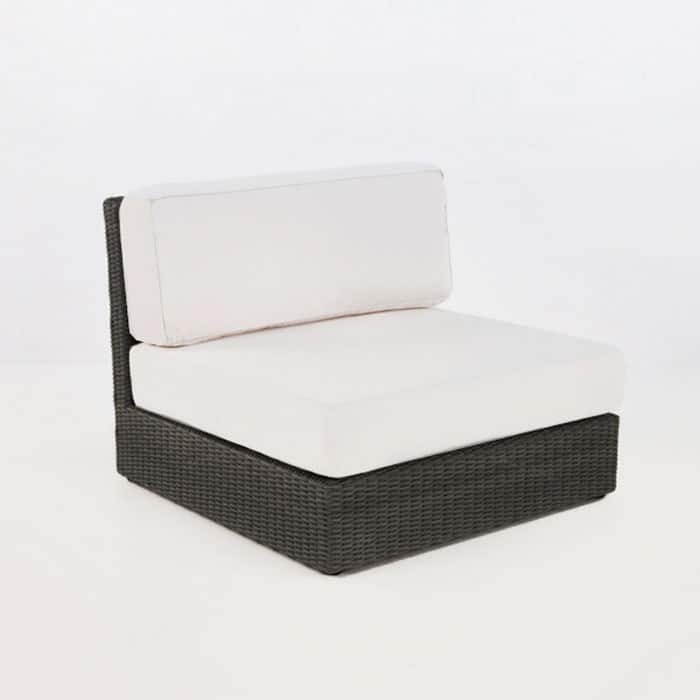 We recommend you keep your furniture clean and free of debris to keep it’s good looks. 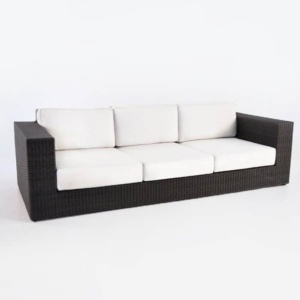 If you would like to create an Austin sectional sofa that suites your needs then call us today or visit our showroom. 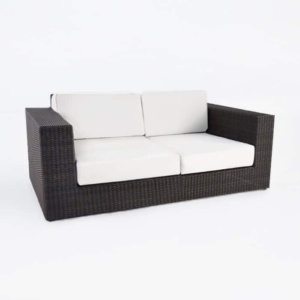 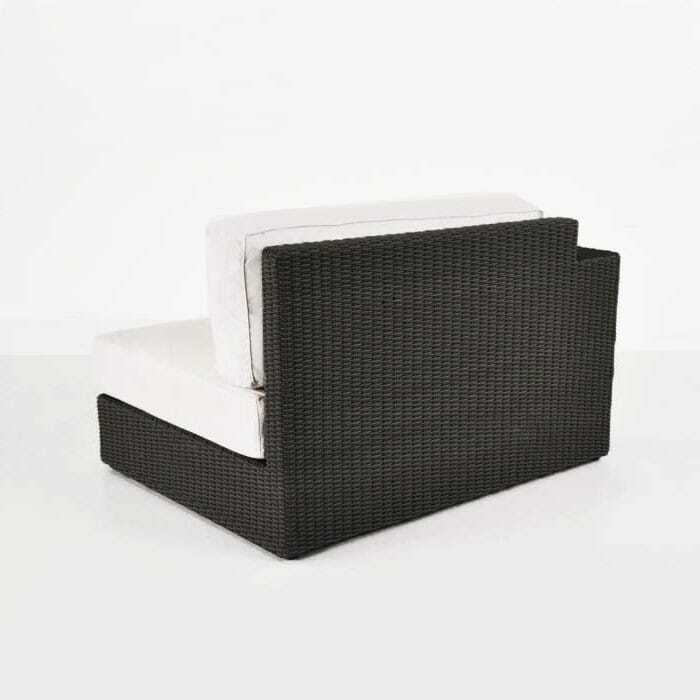 We are sure that we have furniture that will fit the dimensions of your outdoor space. 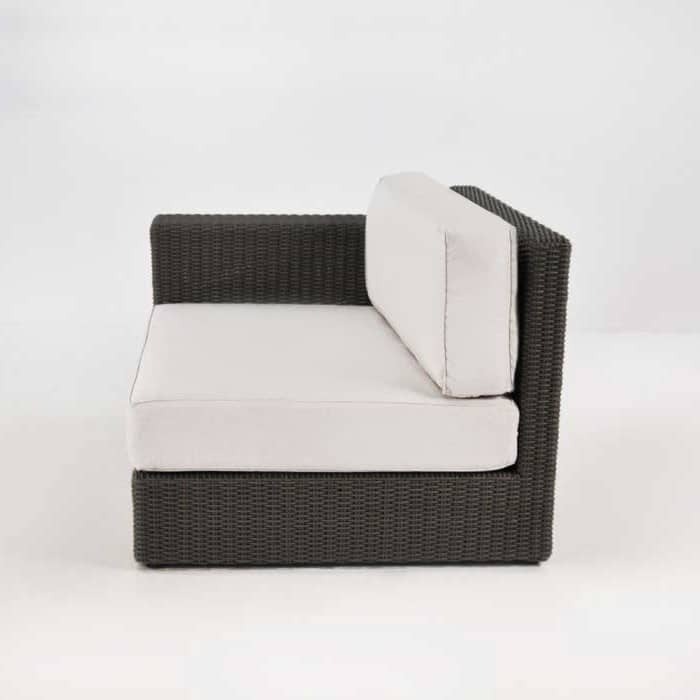 We are open 7 days a week and can’t wait to hear from you!